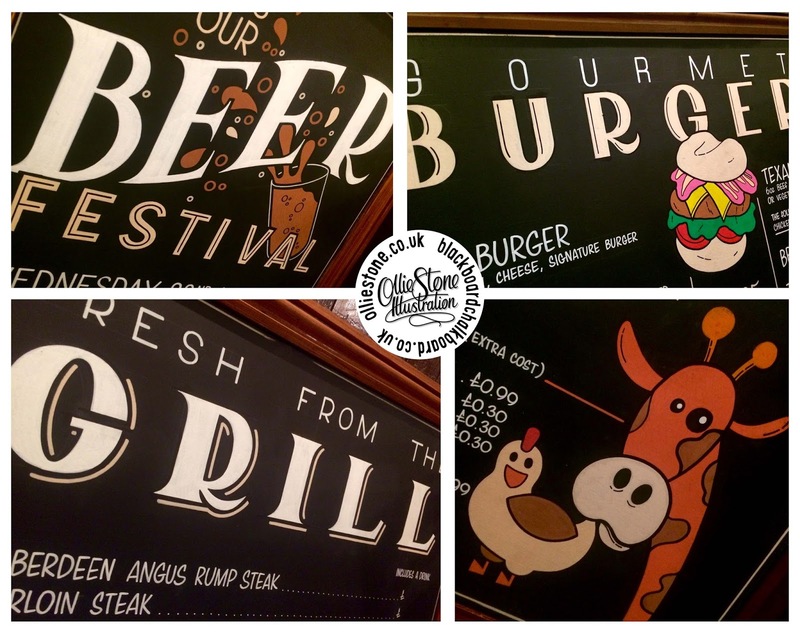 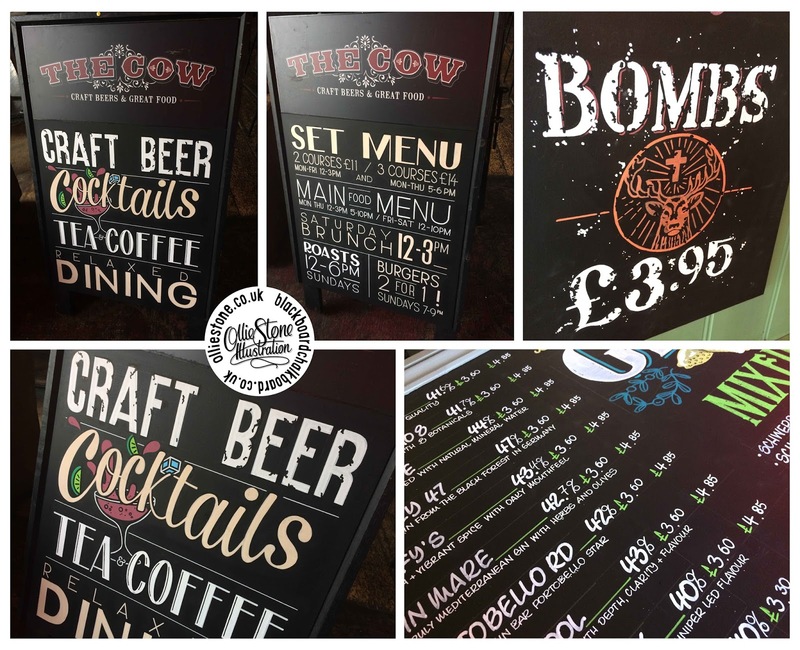 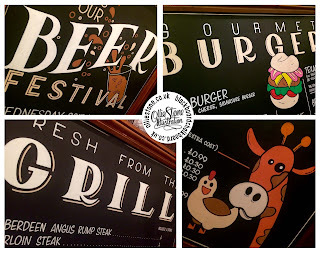 Bespoke, hand-painted chalkboard and menu signs. 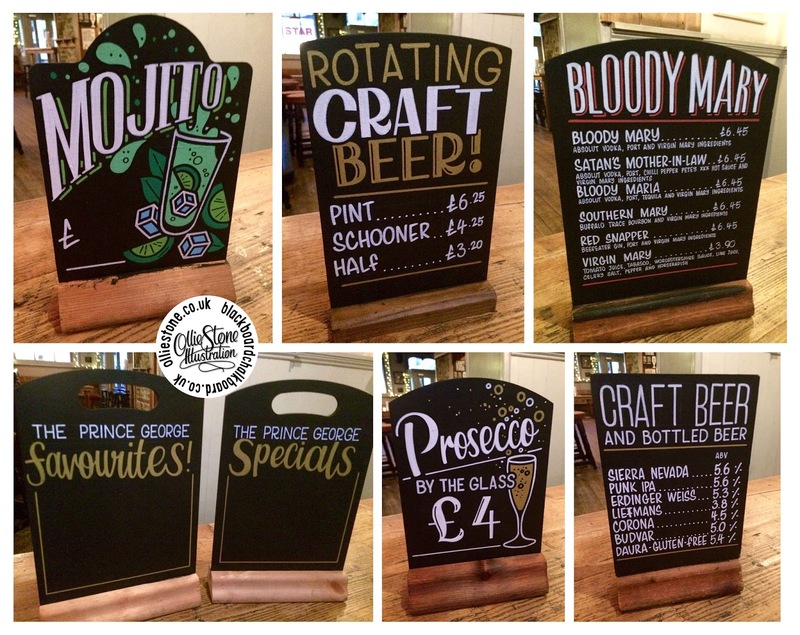 Fizz Fridays chalkboard for Crown's, Brighton. 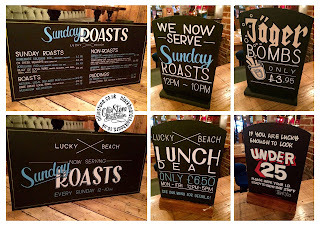 Chalkboards for The Mossy Well, Mussel Hill. 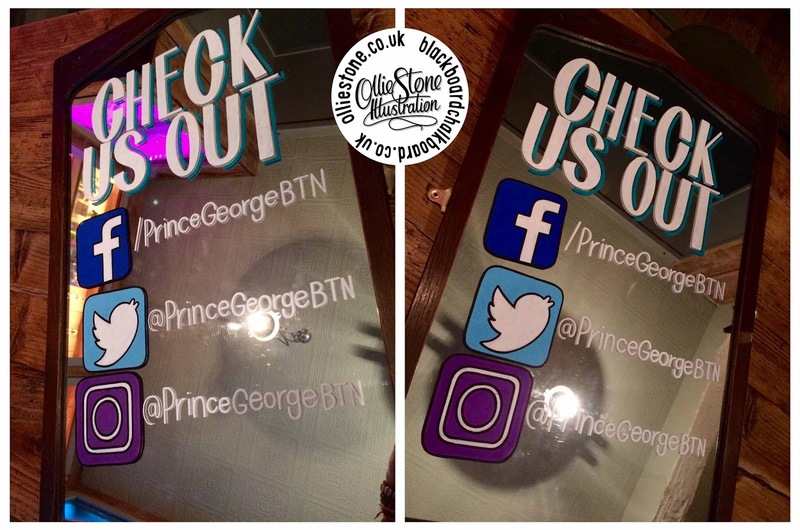 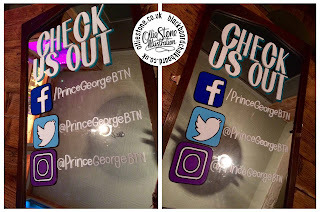 Chalkboards for The Prince George, Brighton. 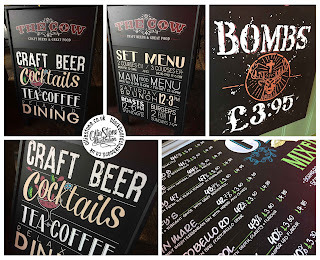 Chalkboards for The Cow, Brighton. 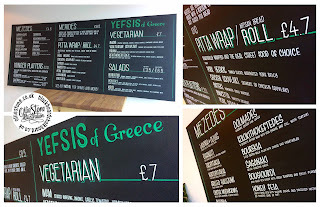 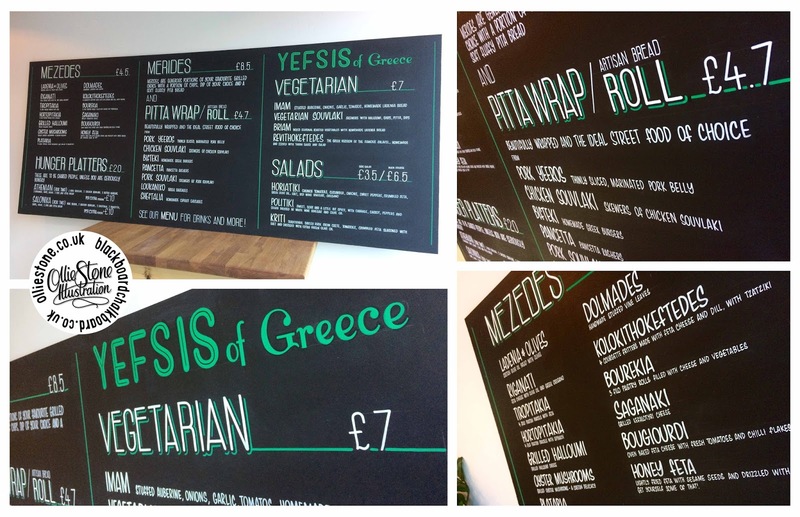 Menu chalkboard for Yefsis, Brighton. 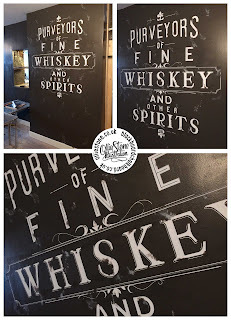 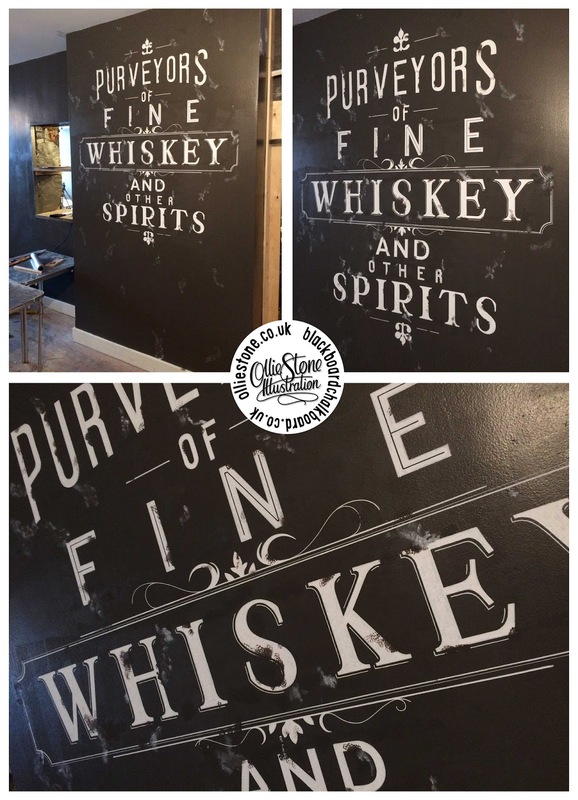 Chalkboard and Mural Designer for hire! 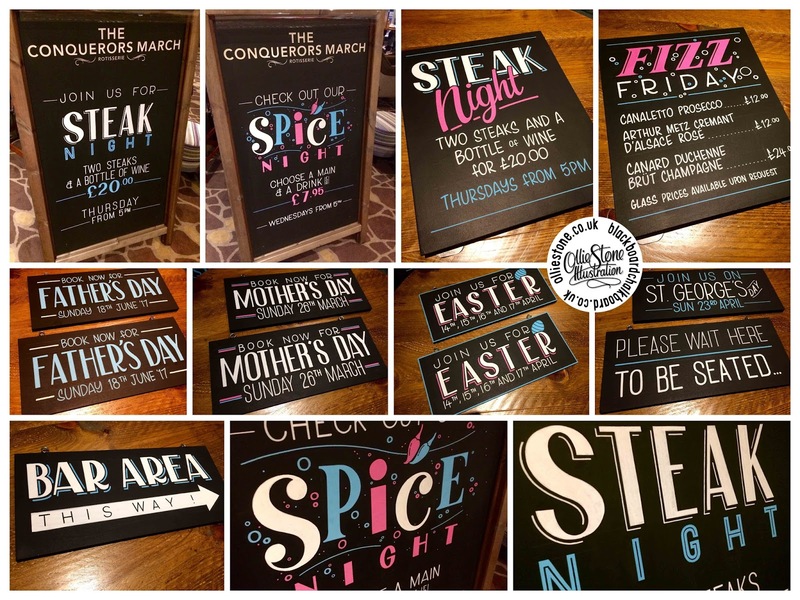 Assorted chalkboards for The Conquerors March pub in Hastings. 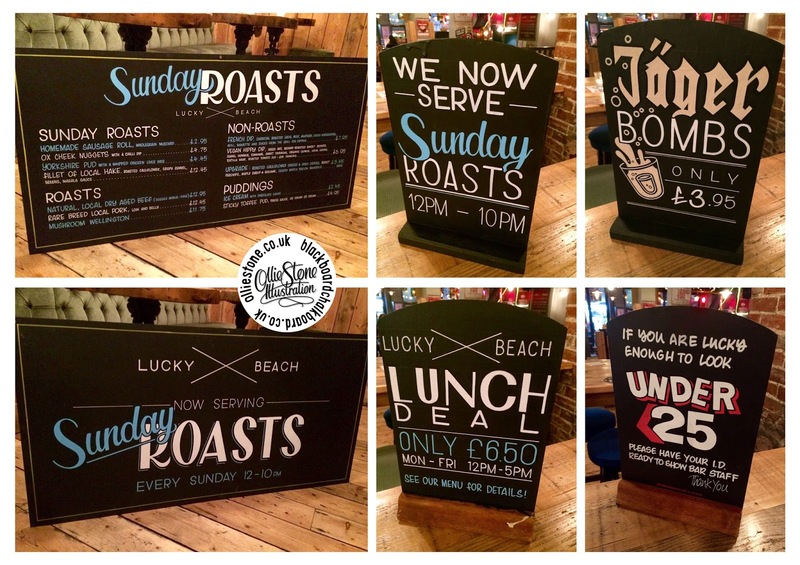 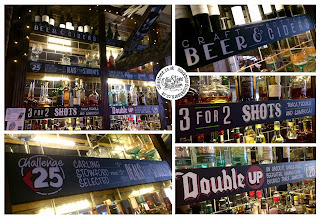 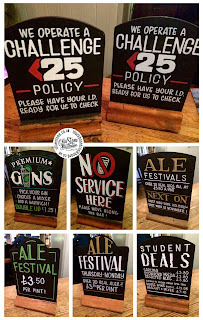 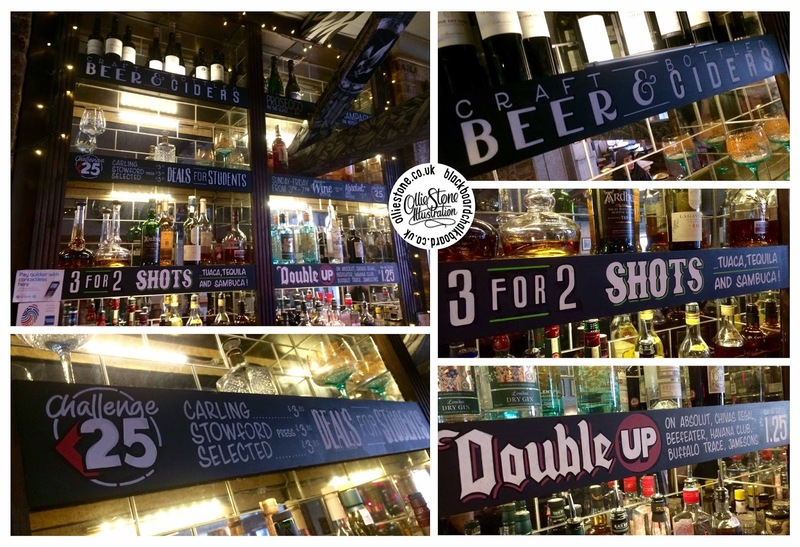 Assorted chalkboards for The Hop Poles in Brighton. 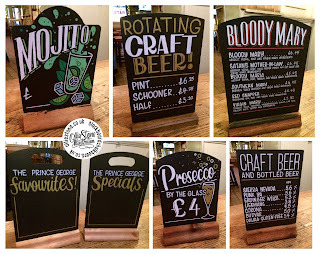 Assorted chalkboards for The John Logie Baird in Hastings. Close up of chalkboards for O'Neill's in Kingston. 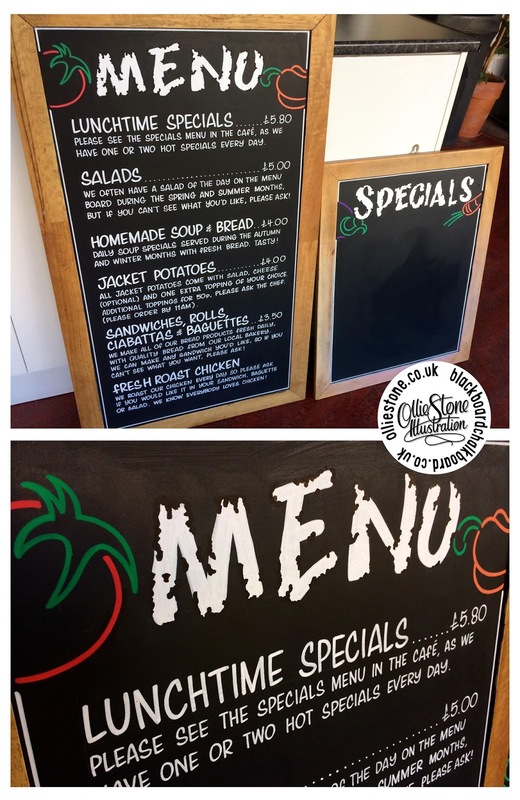 Menu chalkboards for The British Study Centre in Hove. 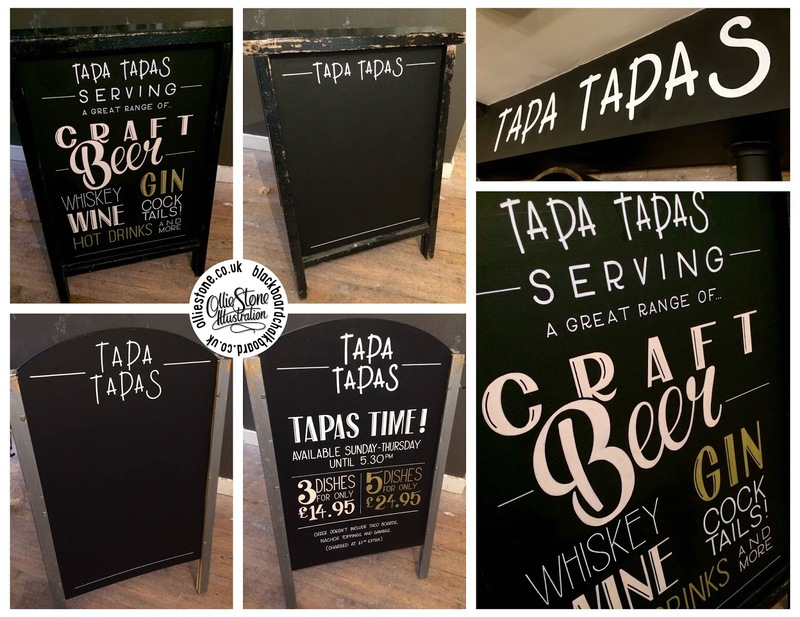 Assorted chalkboards for Tapa Tapas in Bexhill. 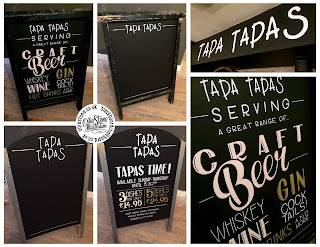 Wall mural for Tapa Tapas in Bexhill. 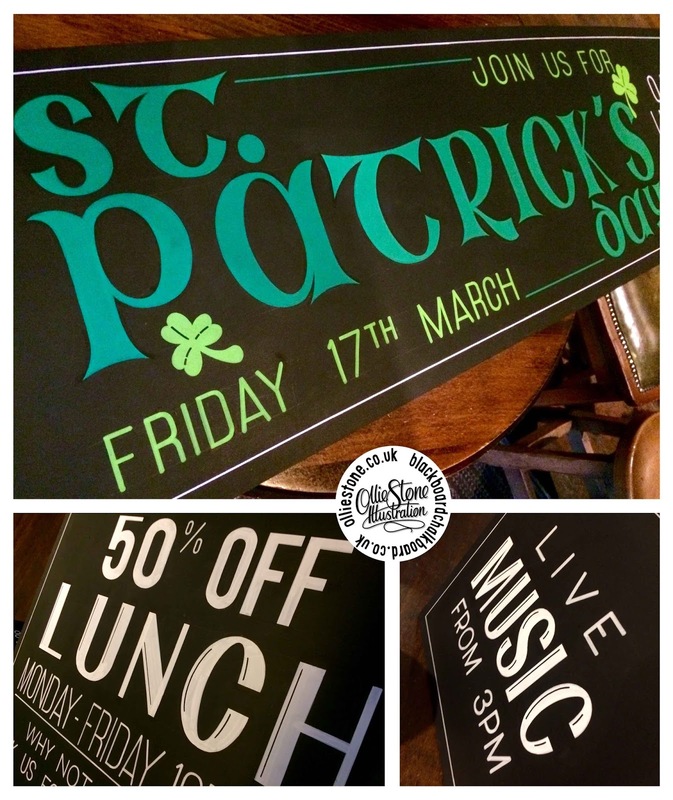 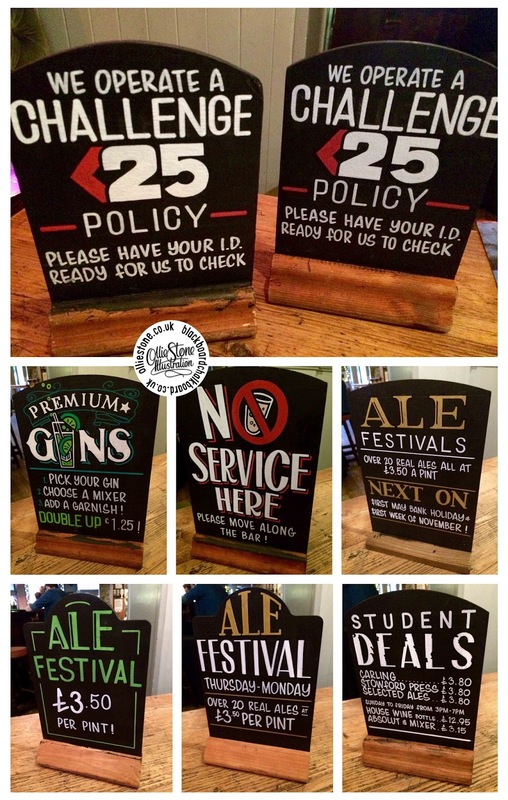 Assorted chalkboards for The Temple Bar in Brighton.